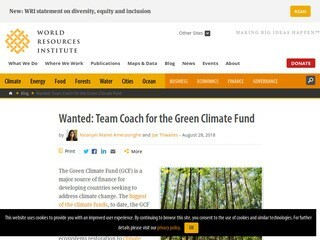 The Green Climate Fund (GCF) is a major source of finance for developing countries seeking to address climate change. The biggest of the climate funds, to date, the GCF has committed $3.5 billion for 74 projects around the world. From off-grid renewable energy solutions and ecosystems restoration to climate information services in vulnerable areas, the GCF aims to support transformational climate action in developing countries.